The first of the Lamplighter Theatre audio dramas! 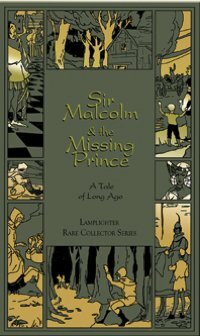 A 2-disc movie quality radio drama based on the book Sir Malcolm and the Missing Prince from Lamplighter Publishing. "I give orders, not take them. I am the Prince. I am the King's son!" 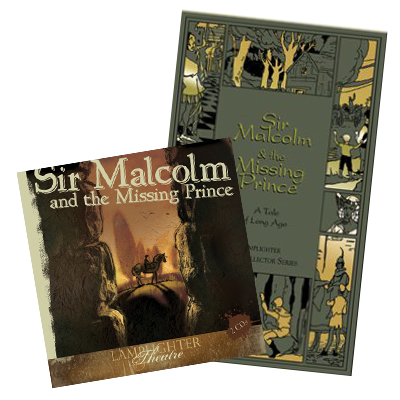 But now Prince Hubert, who had always said and done too little, finds himself in an unfamiliar place where he is simply known as Hugh, a peasant boy. His silks and satins are replaced with rough work clothes, which he learns during his time spent with the widow of the forest. Hugh is a sturdy, likable boy, who will undoubtedly take a favorite place in the line of lovable Lamplighter characters.